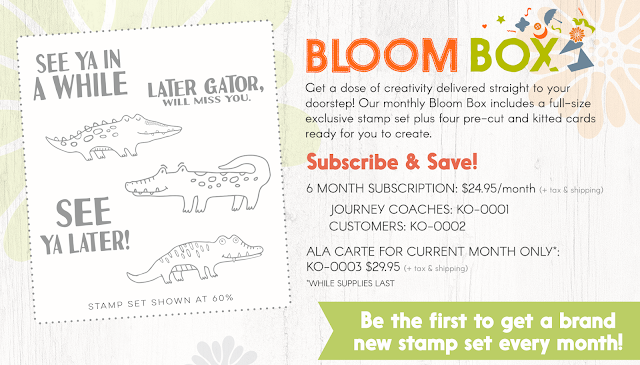 Oh my goodness how cute are these gators! I can see using this set in so many ways. As soon as my Bloom Box lands on my front door I will be playing with these little babies. What a versatile image too. Use it for treat bags, scrapbook pages or pocket pages for your trip to the Alligator Farm, anywhere in St. Augustine or if you are not local to Florida your trip to Florida. 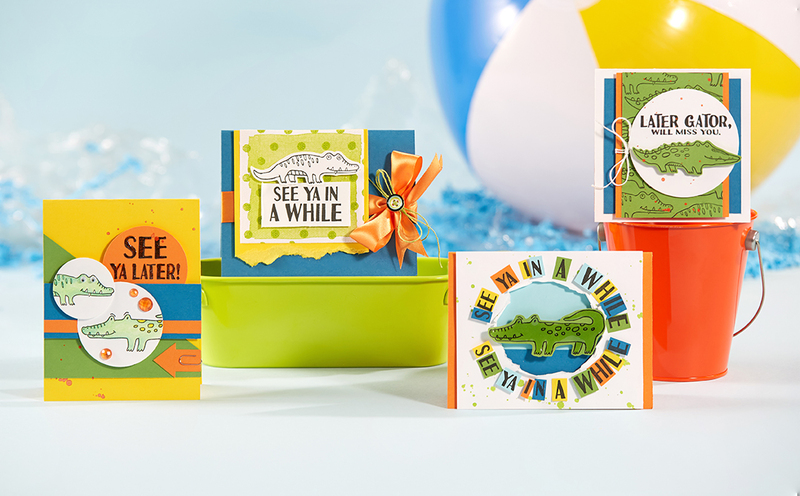 Perfect for the basic cards as shown or split the images with another stamp set for a new theme or look, great cards for little boys and the men in your life who love the outdoors. So many possibilities. 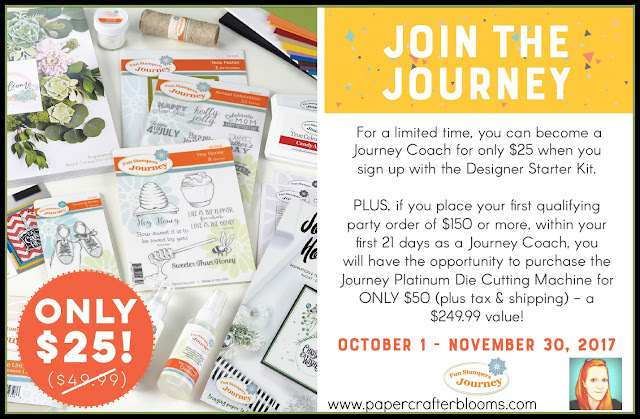 If you choose to try out the fabulously amazing Bloom Box subscription I personally will mail to you a free copy of our 2017/2018 Inspiration Catalog and or Journey Holidays Mini Catalog. 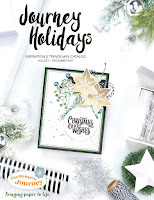 You will find some beautiful project designs and inspirations within these colorful pages! 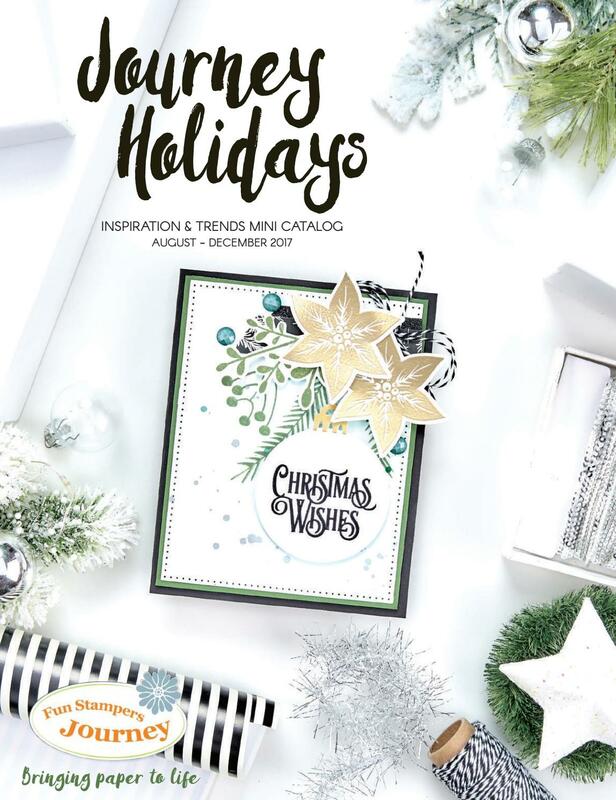 The 2017/2018 Inspiration Catalog has 334 pages! For your inspiration!